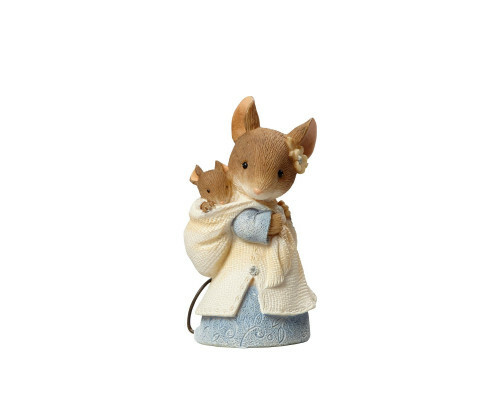 Mother and Baby Tails with Heart Mice. This mama mouse never goes far without her baby. She carries her little bundle in a sling that matches her sweater with sparkling crystal accents. Height: 5 cm. Made from stone resin. An adorable mouse flies a flower-shaped kite with a sparkling crystal accent.Height: 9 cm. Made fr..
Two lovers mice share a romantic picnic in the countryside. Each flower in this nice scene is ador..